hello im just looking through your site and was wondering what this piece was about? Hi Emma, Well this peice was really about creating another reality. These boots had been worn by my husband as we trekked around Nepal. 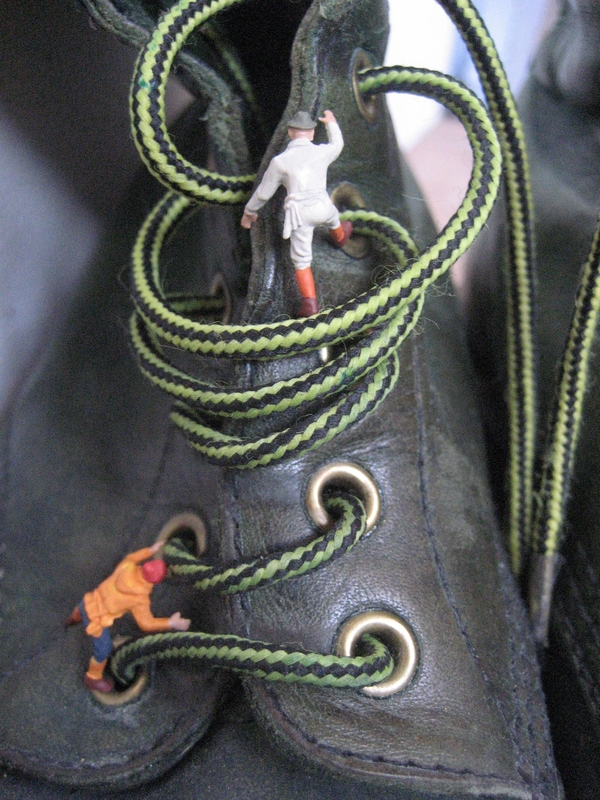 It was a playful fantasy about the immenseness of climbing – played out by the tiny people also climbing the boots. Could our perception of our size in the world be altered through playing with our visual exploration of scale? Lovely that you are looking at my site.